Inherited from my grandmother who collected European antiques in the 1920s. This piece was bought in Cape Town, South Africa. Thank you for contacting Mearto with your appraisal inquiry. I excuse for my late replay and ask for apologies. So that I may best assist you, can you please upload a few better images from the connection of the legs to the plate and the bottom side of this piece. The technical details of the construction are very important for the dating of your interesting table. Thank you for the additional images and your patience. The apprised object is a table with the measurements 27" x 62" x 30". This table is a so-called Chippendale turret style table made with nut wood as construction wood and with a nut wood veneer. 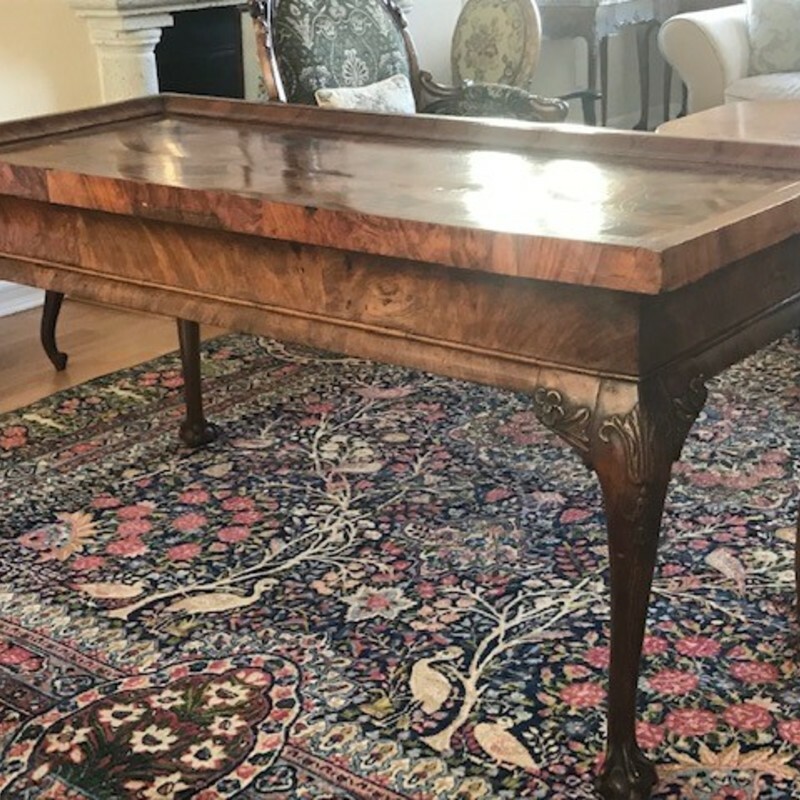 This table was probably made in the middle of the second half of the 18th century. There is a crack in the veneer of the table plate and a later additional strengthening of the legs. An estimation would be between 2000 to 4000 USD. I answered your second request and excuse again for the delay. Stamped "walter of wabash," but i do not know the brand officially.